The mother of a man missing since the beginning of April has made an appeal for information to trace her son. 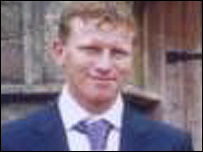 Jason Hoskins, 33, was last seen by staff at Southmead Hospital on 4 April. Police are concerned for his welfare as he has been described as vulnerable. Officers believe he may be in the Bristol or Bath area. His mother Sheila Hoskins, 62, said: "I desperately want him to return home. I cannot rest without him being here and I'm very upset that he has gone away." Jason is white, of slim build and about 5ft 8ins. He was last seen wearing blue jeans, a blue zipped up jumper and brown shoes. His sister, Amanda Day, said: "I have displayed posters around Bristol in an attempt to trace him. It is totally out of character for him to go missing and I am desperate for information."